Есть вопрос для HI.Mid Bangkok? HI.Mid Bangkok это идеальный выбор для тех путешественников, кто хочет погрузиться в атмосферу Бангкок. Отсюда, гости могут всецело ощутить преимущество удачного расположения и близости ко всему, что может предложить оживленный город своим туристам. Благодаря удобному расположению, отель предлагает легкий доступ к наиболее популярным туристическим местам в городе. В HI.Mid Bangkok, отличный сервис и превосходные удобства, помогут сделать ваш отдых незабываемым. Среди множества услуг доступных в отеле, есть бесплатный Wi-Fi в номерах, охрана 24/7, ежедневная уборка, хранение багажа, Wi-Fi на территории. Насладитесь высоким качеством услуг, доступных в номере, в том числе Wi-Fi, Wi-Fi (бесплатный), номера для некурящих, кондиционер, услуга будильник, благодаря которым, вы сможете полностью расслабиться и зарядиться энергией после долгого дня. Помимо широкого выбора услуг для отдыха, предлагаемых в отеле, у вас останется много возможностей развлечься не выходя из отеля. Идеальное расположение и превосходное качество услуг в HI.Mid Bangkok делает этот отель подходящим для большинства категорий туристов. тихо, даже скучновато, телевизора в комнате нет, только на первом этаже в фойе. Холодильника в комнате тоже нет. общий на первом этаже куда все пихают свои продукты где есть место. 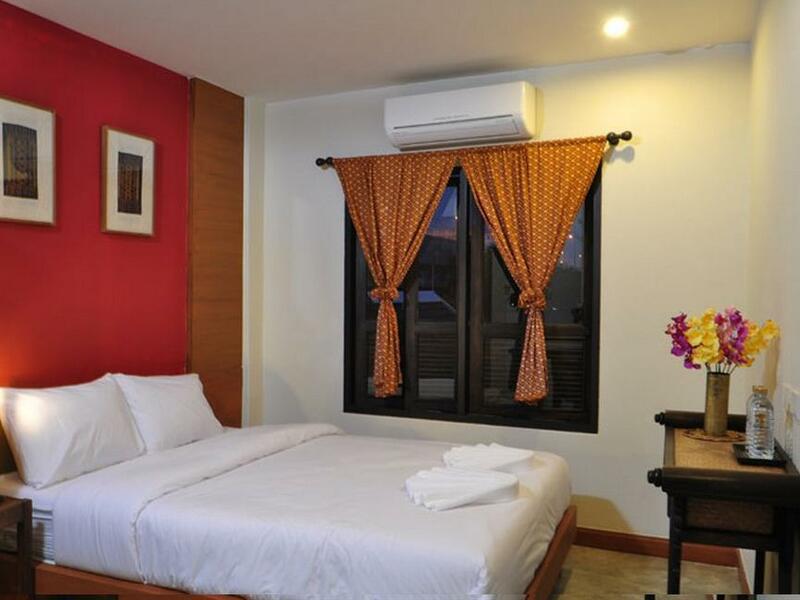 Easy to access from Suvarnabhumi Airport via Skytrain airport link and then short walk from Victory Monument. Ideal base for moving on via Don Muang after overnight stay in Bangkok. Local street food well recommended just outside hotel. The Hi. 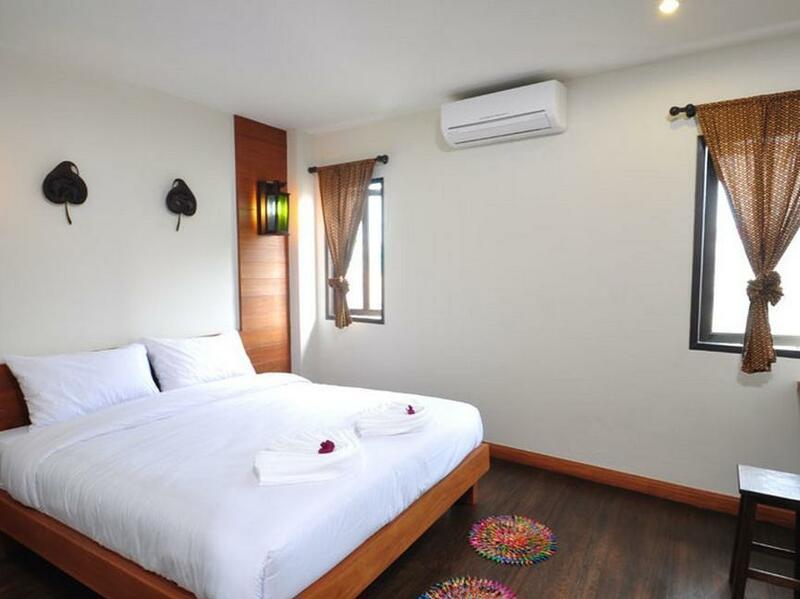 Mid Bangkok Hostel/Hotel is a great place to stay in Bangkok since it's located near all the best transportation options. It is just a couple of blocks away from the Victory Monument where the BTS Train Station and bus station are located. Also, taxis are always around this area. 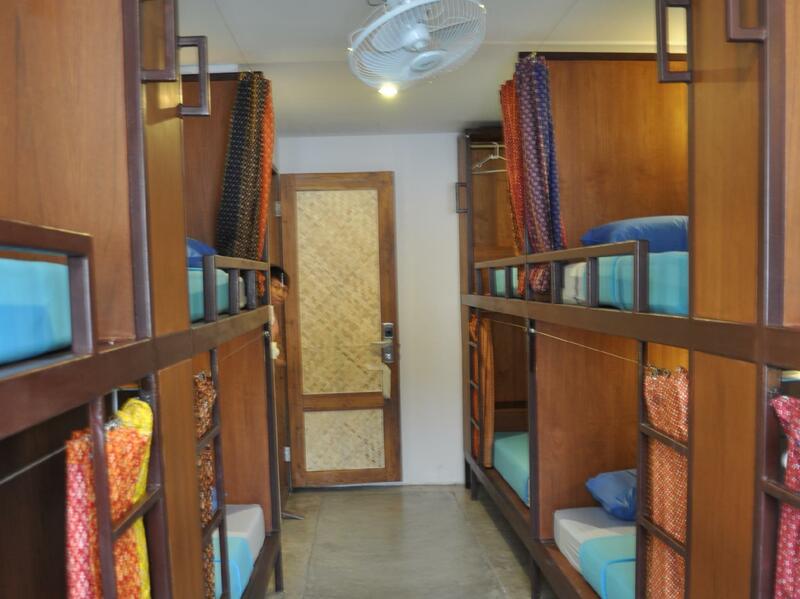 I stayed in one of the dorm rooms with two of my friends, and everything was very nice and clean, both in the room and in the bathrooms.There are curtains next to each bed that can be pulled shut for privacy, and there's also a space next to each bed where your luggage can be stored. After checking out of the hostel, we were still planning on doing a few things around town before leaving, so we asked where we could leave our luggage. The guy at the front desk showed us that they have a small room down the hall behind the desk where they store luggage for free! It was very nice to be able to leave our large bags there while walking around town some more. The workers at Hi. Mid Bangkok were all very nice and helpful, and they also had maps of Bangkok that were free. They spoke good English, too! In the mornings, they had cereal, milk, and toast with jelly for breakfast. A couple of other things that were great about the location of this hostel was that there was a 7-Eleven just about a block away, and there was also a drinking water machine just a few steps away in the ally that you could use to refill large water bottles for only 1 bht! 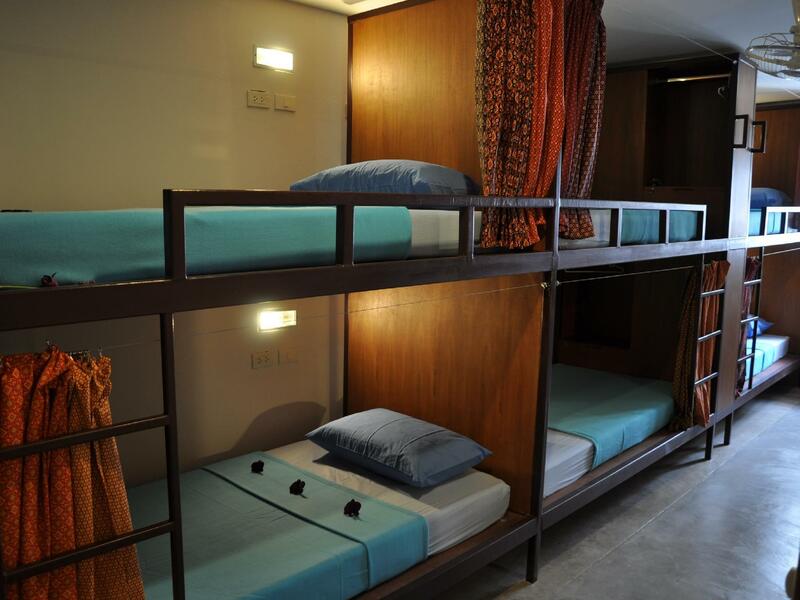 My friends and I were very happy with this hostel/hotel, and we even chose to stay there an extra night. The AC worked well, and so did the hot showers and wifi. I would highly recommend the Hi. Mid Bangkok Hostel to anyone looking for a cheap but nice place to stay in Bangkok. I wasn't super impressed, but it wasn't terrible either. Didnt like the layout of the rooms, and price was slightly above some other comparable options in the area. We like Victory Monument shopping and food scene, so it was bearable. I stopped in Hi.Mid Bangkok for about a week to decompress after a long period of travel. It was lovely and quiet (offseason) and had all the amenities I needed. The air conditioner is only in the rooms and only one at a certain times. Still, wonderful new facilities and immediate access to the train station and a few malls (5-10 min walk tops). The staff was helpful when I needed it but some spoke poor English. One issue I had was the water: 10 baht per small bottle of water and no free filtered water for guests. I think they should change that ASAP if they really want to compete with more popular places. Location was okay - quite a distance from most of the sites and areas we wanted to visit, but very close to a BTS sky train station - so could travel most places fairly easily (yet commuting time was annoying), also very few food options in the immediate area (particularly for breakfast - many places closed). The room was generally quite nice, but the shower had truly awful water pressure - bathing under a weak dribble most of the time. The other major issue was that our bathroom had a gross worm problem. We found worm-centipede things crawling around in there each day. We'd flush them down the toilet but we would just find more on the floor a couple of hours later, couldn't figure out where they were coming from. Give that we were paying NZD $54 a night, I expected a better standard of accommodation than this. Great location, Wifi was also ok. But there was no soap just water bottles. We checked in the hotel late night and it was not convenient to go to buy these toiletries. Better if they provide at least a small piece of soap. Also no tap in the bathroom. Just a fixed shower (no shower caps). So it is not convenient to give a wash to kids without giving a bath. the hotel is in the alley. Kind of smelly. I stayed there at the dormitory then changed to a standard room. The dormitory and toilet is clean. The people who stayed there tried to be quiet as much as possible. But the noise outside the building was disturbing. The stay at standard room is superb. I have no complains. Easy to get to BTS. A lot of shopping nearby. Shall return to this place in my next visit. Everything is basic...but location for transportation and food is efficient. Price is a bit over, but again if there are more choices around there. Very near to the BTS station, very clean and new, good quality product, delicious street food outside. REcommended! Nothing more I could describe except like what I have mentioned in my title.